We, at FLOW, never run out of reasons to travel and explore all the different spots in our beautiful country while doing what we love best (yoga, surfing, samba, etc). Our next destination is in Negros Occidental! Aaaaannnd we’re happy to announce that it’s going to be another Luxe Yoga Escape Weekend in a tropical hidden paradise…Punta Bulata White Beach Resort and Spa. Save the date: June 28-30 for a fun-filled island weekend of a lifetime! 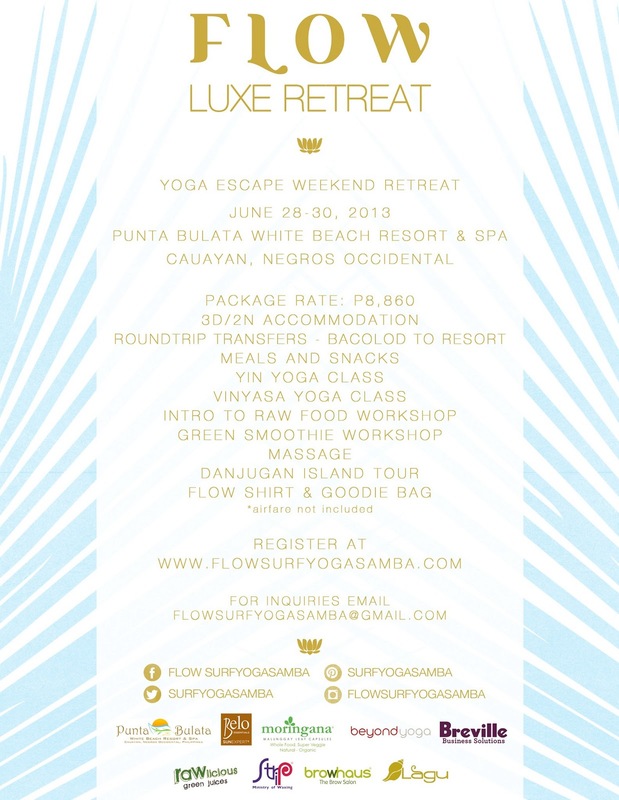 Email us at flowsurfyogasamba@gmail.com to sign up! Register early to get the early-bird rate of P8,000 only until May 28. Retreat package rate is P8,860 if you pay May 29 onwards. We’re giving out an all-natural, vegan and raw Hurraw! 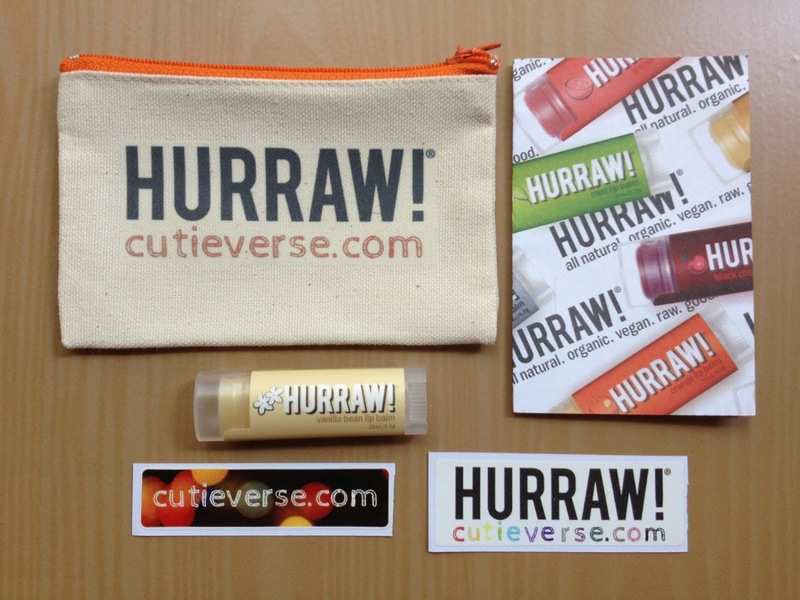 Lipbalm from Cutieverse to one lucky reader. You just gotta help us spread the Flow love! Tweet or post in Facebook your answer to this Q: ‘How do you take care of your skin naturally?’ include hashtag #FlowBacolodGiveaway. Must follow Flow on Facebook, Twitter and comment in this blog post your name, email and link to your posts. We will announce winners by Friday May, 31 2pm via Facebook and Twitter.